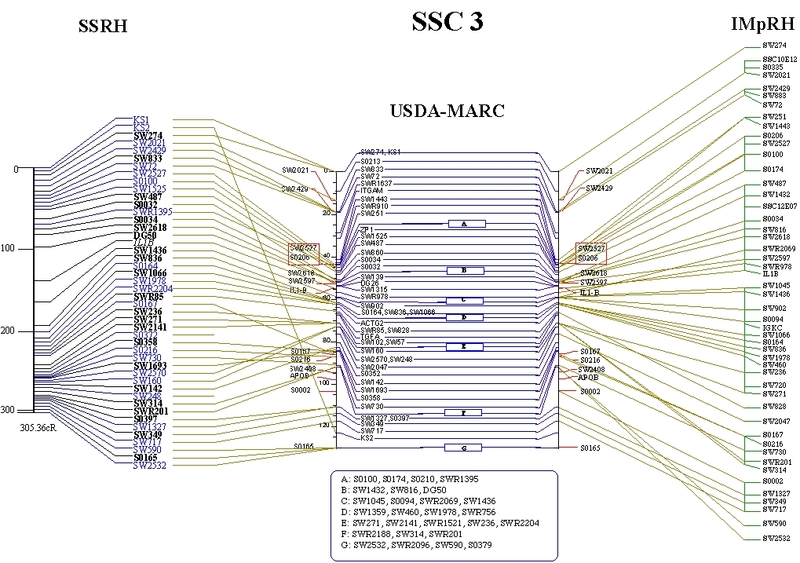 Links to the additional data for "Characterization of 298 ESTs from porcine back fat tissue and their assignment to the radiation map"
Hamasima, N., Suzuki, H., Mikawa, A., Morozumi, T., Plastow, G. and Mitsuhashi, T. (2003) Construction of a new porcine whole-genome framework map using a radiation hybrid panel. 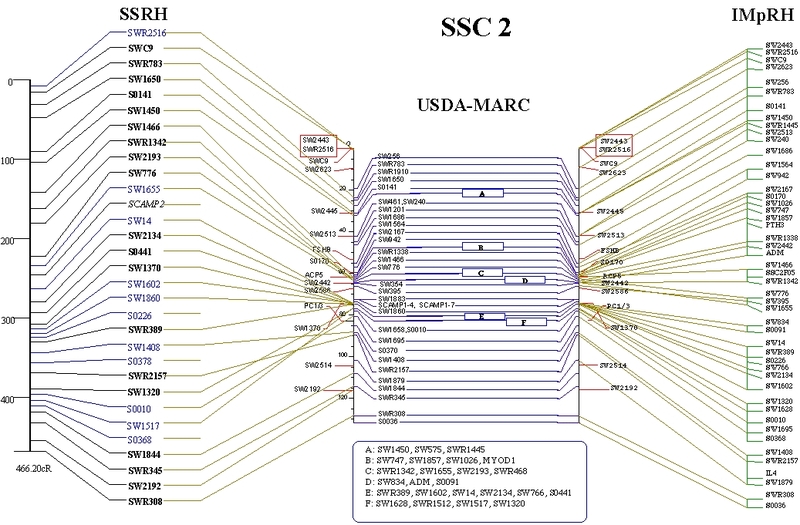 Animal Genetics, 34, 216-220. 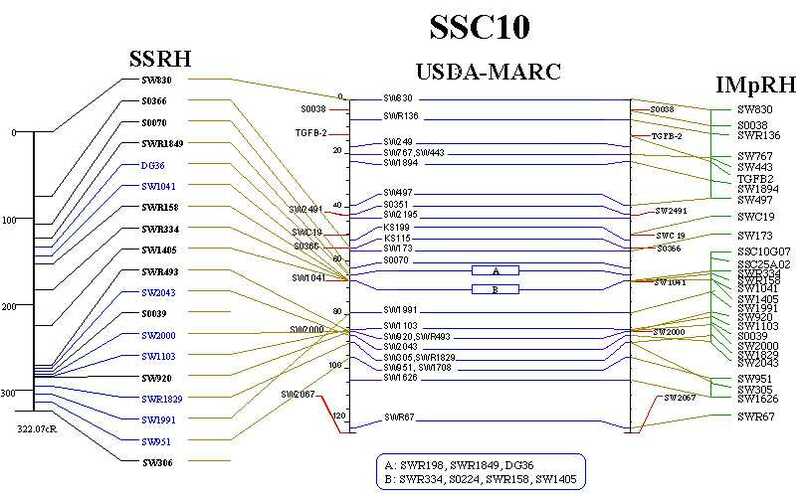 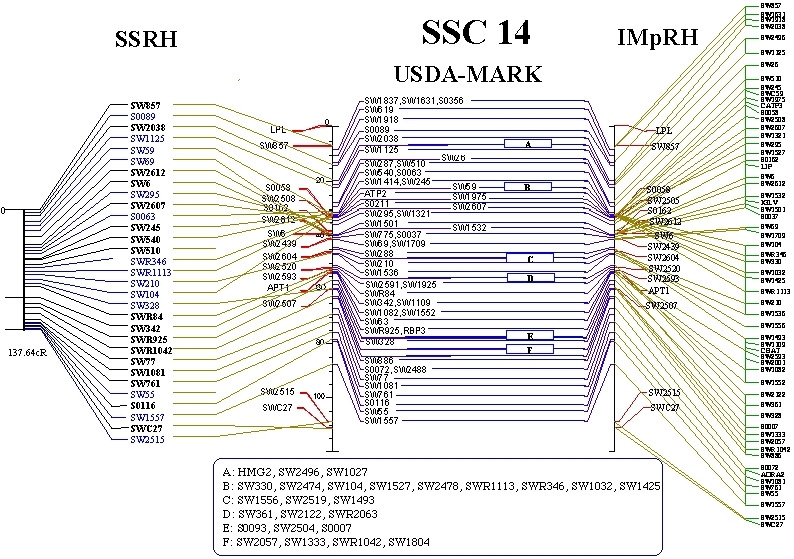 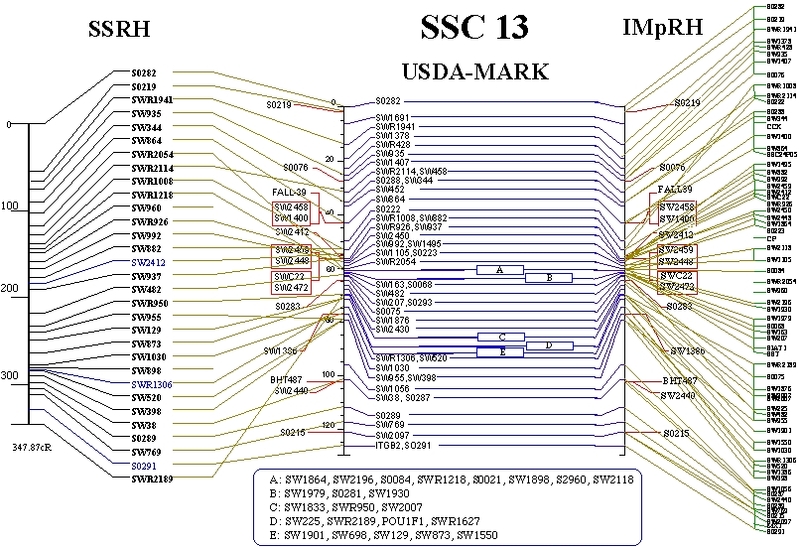 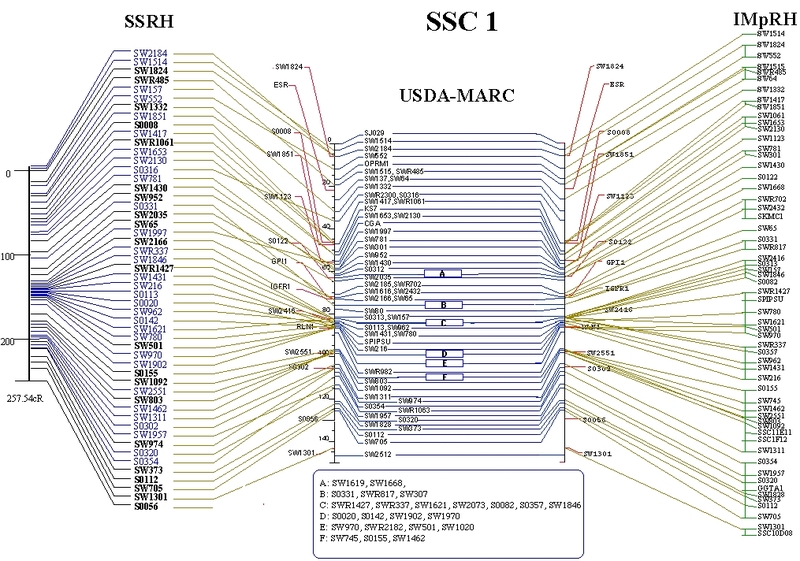 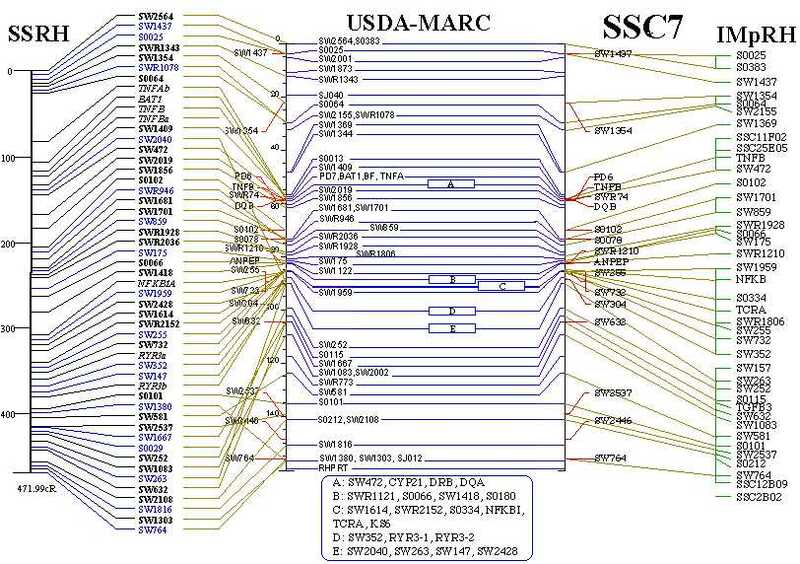 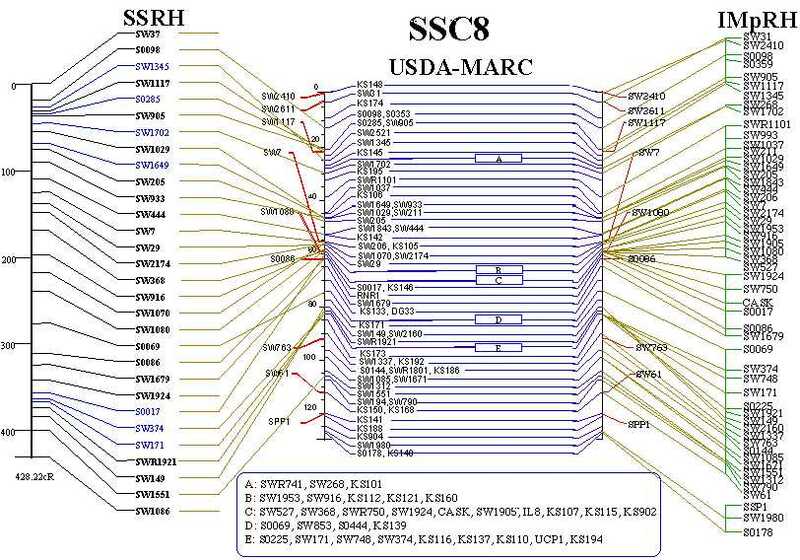 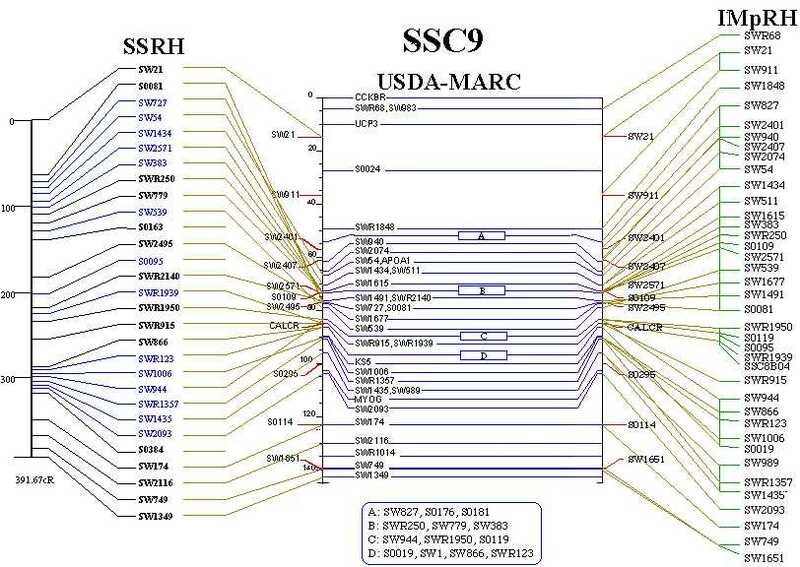 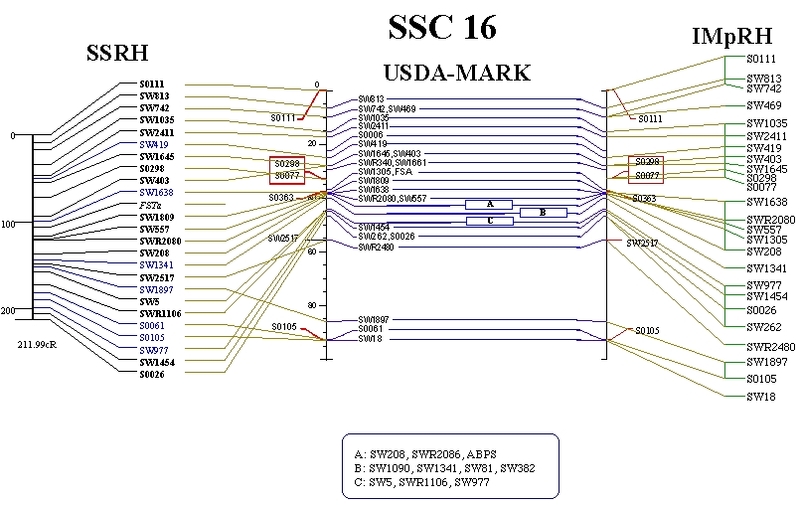 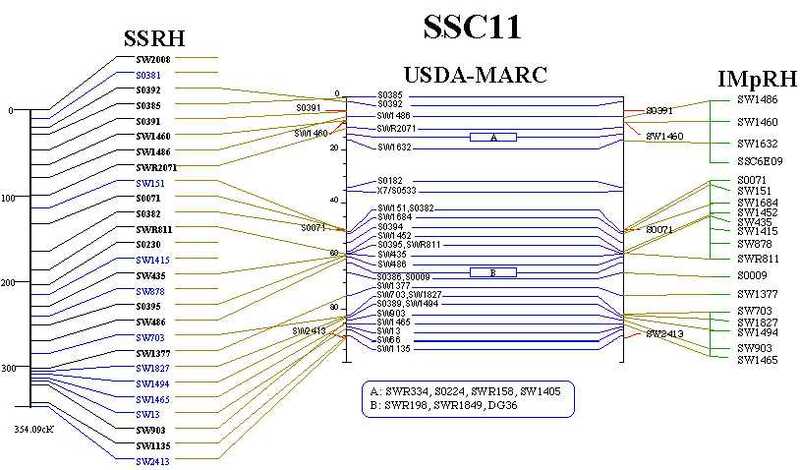 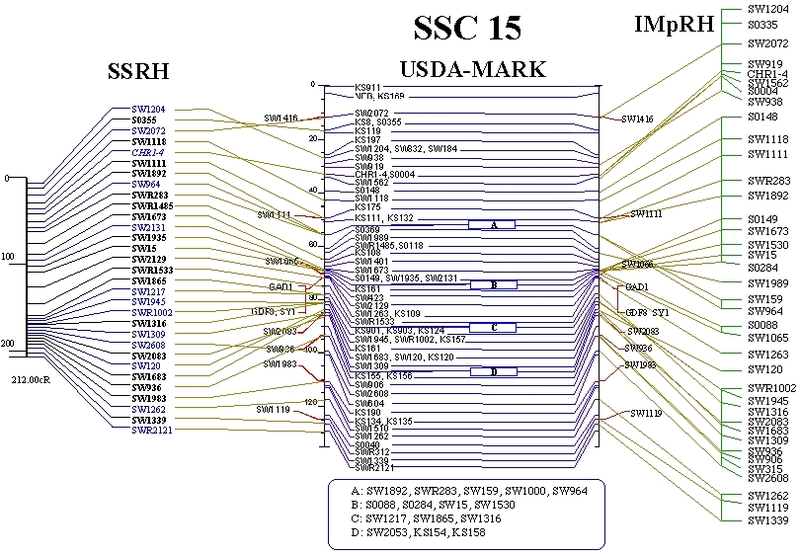 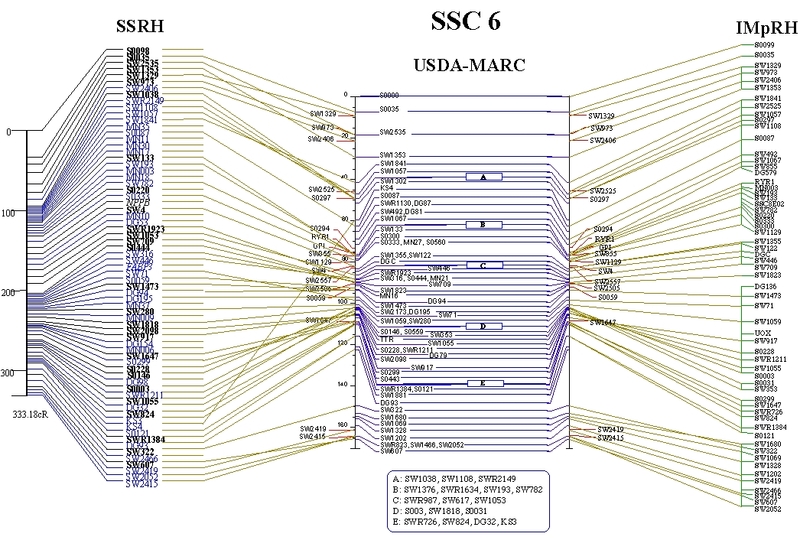 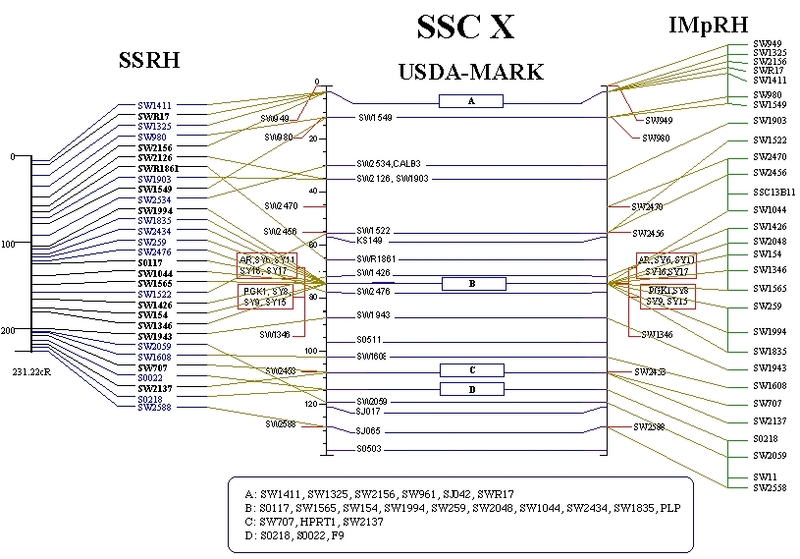 Comparison of SSRH map (version 1.0) with IMpRH map and USDA-MARC linkage map (JPEG Files). 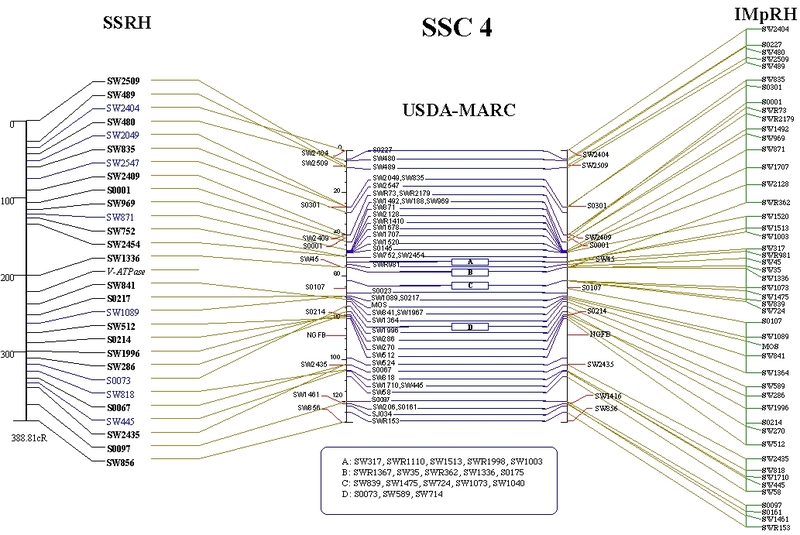 Netscape is recommended. 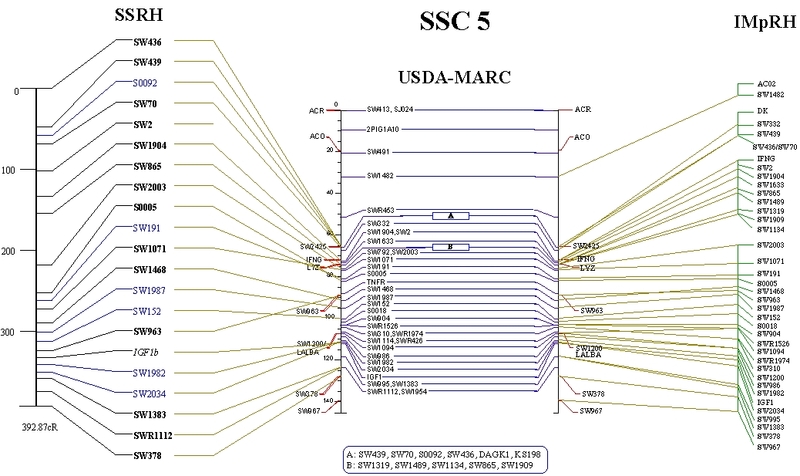 Internet Explorer automatically reduces the size of the figure in order to draw within a frame. 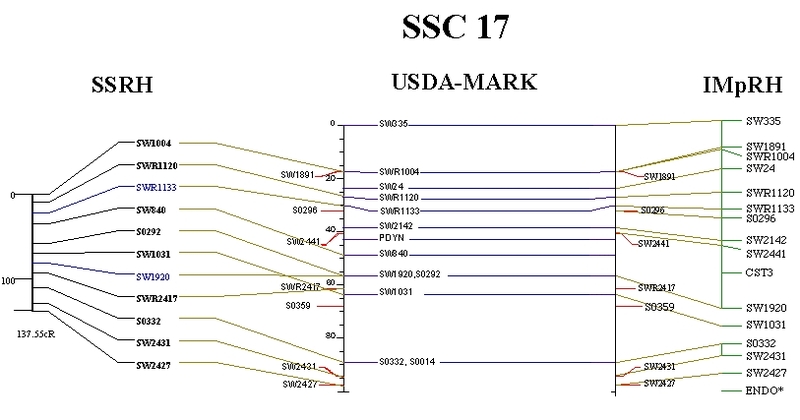 You may see an out-focused figure. 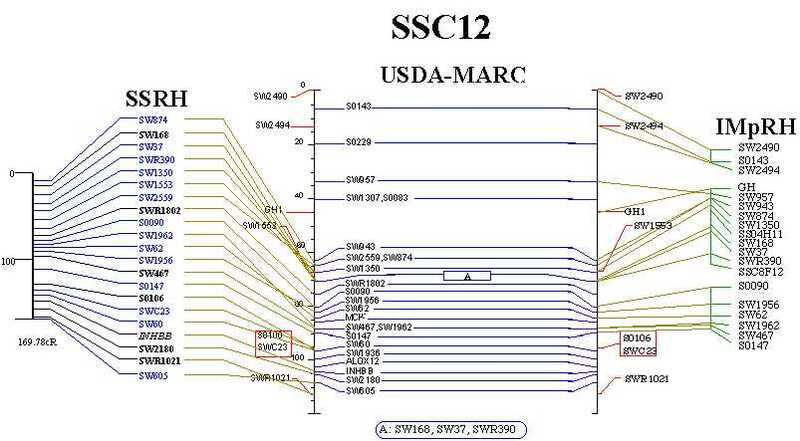 If then, please enlarge the size of the figure.